Since Amazon took its strategic move of plunging into healthcare, its plans are progressively unfolding, driving down market value of many of the industry’s biggest retail pharmacies including Walgreens, CVS and Rite Aid, says GlobalData, a leading data and analytics company. The e-commerce giant, who was already selling medical supplies and equipment, and whole foods, has been making progress following its partnership announcement with J.P. Morgan and Berkshire Hathaway. Its aim is to target technology solutions to simplify the complex and highly regulated healthcare system and harness its full potential, a much needed approach amid the rocketing digital disruption of the pharmaceutical industry. 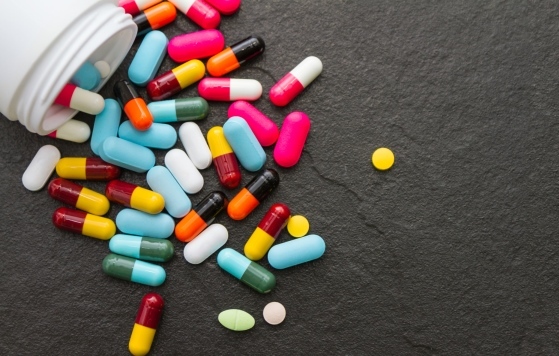 Improving clinical outcome of many patients suffering from chronic diseases often lies in overcoming the difficulty of obtaining and taking the medication correctly. A lot of these patients are older and have mental or physical disabilities, it becomes a continuous fight for them to get repeat prescriptions and adjust their lifestyle to their medication regimen. The development of mobile health applications, or ‘mHealth’ apps, aiming at improving medication adherence, has increased sharply in the past few years; however, their integration into the healthcare system is yet to mature, whilst the highly resourceful active involvement of nurses and pharmacists have proved to be effective measures of improving medication adherence. Undoubtedly, Amazon recognises this opportunity within the industry, evidenced by its acquisition of PillPack in June 2018. PillPack packages and organises drugs in pre-sorted doses, making it easier for the patient to see what medication to take at various times of the day. According to CNBC, further deals may involve start-up company Xealth, which aims to help doctors to order digital content and services, such as relevant apps, to set up accessible information for the patients before they are discharged from the hospital. This could accelerate adaptation of healthcare solutions whilst improving physician and patient engagement and freeing some of the healthcare resources. There are barriers, however, for Amazon to reach its goals in healthcare, such as potential insurance restrictions, and concerns over sharing medical and health information with the company. Based on GlobalData’s Thematic Analysis, almost 58% of US consumers would have at least a minor concern about sharing medical and health information with the company. Nevertheless, the majority of Americans, surveyed 30 June 2018 to 3 July 2018, approve of Amazon’s decision to enter the pharmacy market. Furthermore, the vast majority of US consumers would like Amazon to lower prices, be able to pick up prescriptions from Whole Foods stores and have same day delivery. Just under 60% of consumers would like to be able to reorder drugs via Alexa, and 48% would like a discount for Prime members.